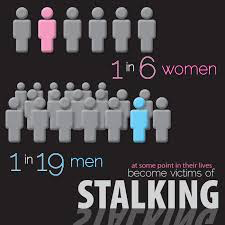 Stalking is a repeated pattern or course of conduct directed at a specific person that would cause a person to feel fear. Sending unwanted, frightening, or obscene emails, text messages, or messages on other forms of social media, such as Facebook, Instagram or Snapchat. If you believe you are being stalked, please view our What to do if… page.